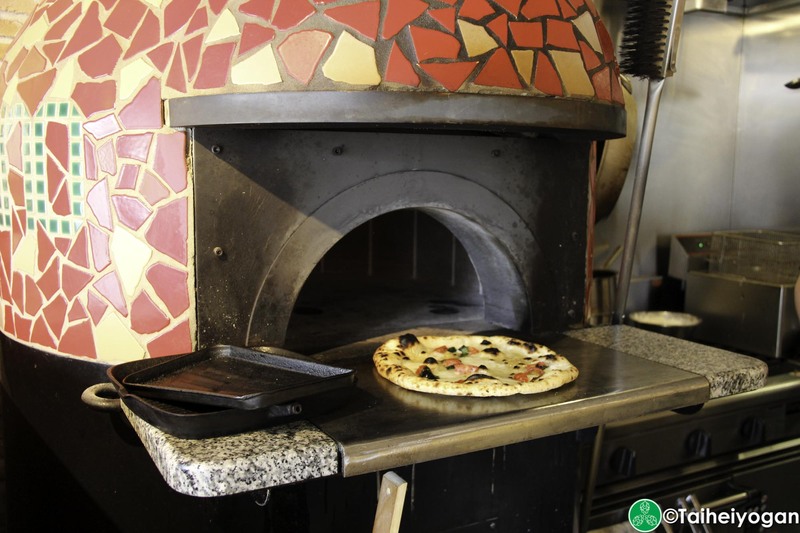 Grano specializes in Italian cuisine that goes with their 14 taps of imported craft beer. 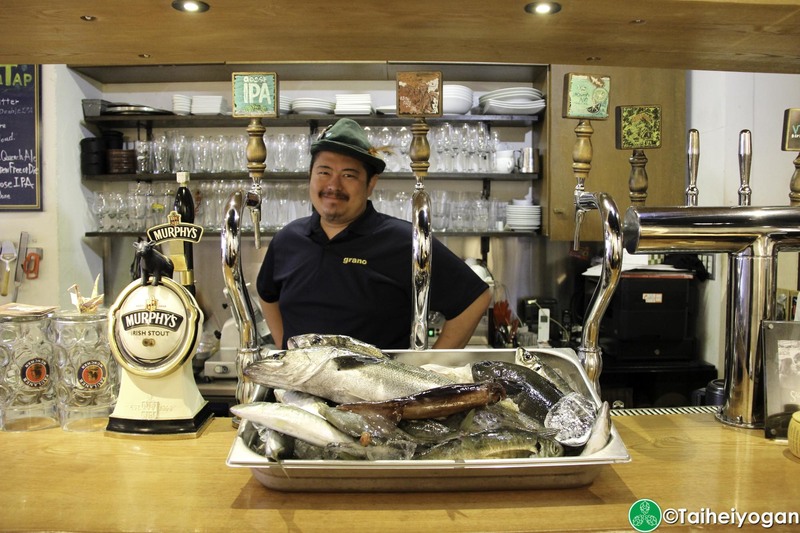 The extra bonus of going to Grano is that their seafood is caught every morning in Sagami Bay and the owner (looks like Bluto from Popeye, but is a swell guy) hand selects the seafood that will be used for the day. Taihei was able to get first dibs on the array of seafood that Grano had to offer for the catch of the day. Taihei went with the Aji, which is called “Japanese horse mackerel” in English. Aji tends to be higher in terms of calories, fat, and sodium compared to other mackerel. Most of the time, the skin is removed before serving, but usually the skin is left on in Japan for presentation in some dishes. Taihei went with two styles for a pairing taste comparison from Grano’s tap list: a Firestone Walker – Krieky Bones (Wild Ale) and a Viola – Numerotre 6.9 (Heller Bock). A Heller Bock is brewed with little hop characteristics that is neither bitter nor aromatic, so you can taste the delicate sweetness from the Aji with the spiciness that Grano adds with red peppercorn to this dish. On the other hand, having a Wild Ale will leave a tamer mouth feeling of the peppercorn to highlight the sweetness of the Aji with the mild sweetness from the wild ale. Another dish to try is Grano’s deep fried octopus and for this dish it was paired with the Krieky Bones. The best way to describe it is like when you were a child chewing on sour gummy candy, but the cherry flavor one. Grano cooking style with this dish and paired with a Wild Ale, will enhances the sourness with the sour cherries along with the French oak barrels it was aged in to create some unique characteristics in your mouth. If seafood isn’t your preference, Grano is an Italian pizzaria and their staff highly recommends their pizza napoletana and you can’t go wrong with the Buffalo Margherita. In this pizza pie are Italian cherry tomatoes, chunks of Italian mozzarella with fresh basil on top. All of this is topped in extra-virgin olive oil (all ingredients are from Italy). This pizza represents all of the colors of the Italian flag and has clean flavors. It should be paired up with a lager to truly taste the sweet tomato sauce mixed with the basil and mozzarella. In this case, Taihei paired it with the Heller Bock from Viola to target the crispy flavors and to counteract the tipsy feeling from the 6.9% ABV. The other pizza we ordered up was the Bianca pizza and this one is missing the tomato sauce. Yes, we know what you are thinking, how can pizza be pizza without tomato sauce? The flavor you want to highlight is the cheese and tomato sauce can overpower that taste, so team it up the Heller Bock to pinpoint that cheesy flavor for your inner mouse. 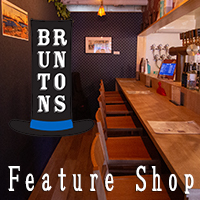 Head Grano if you want to learn more about them and order a few different styles of beer to experiment with the different flavors of pairing it with different dishes. Don’t forget the enjoyable conversation with friends or family as you chat about how the beer and food enhance each other. For complete details on Grano, check out our page for everything you need to know, including photos. 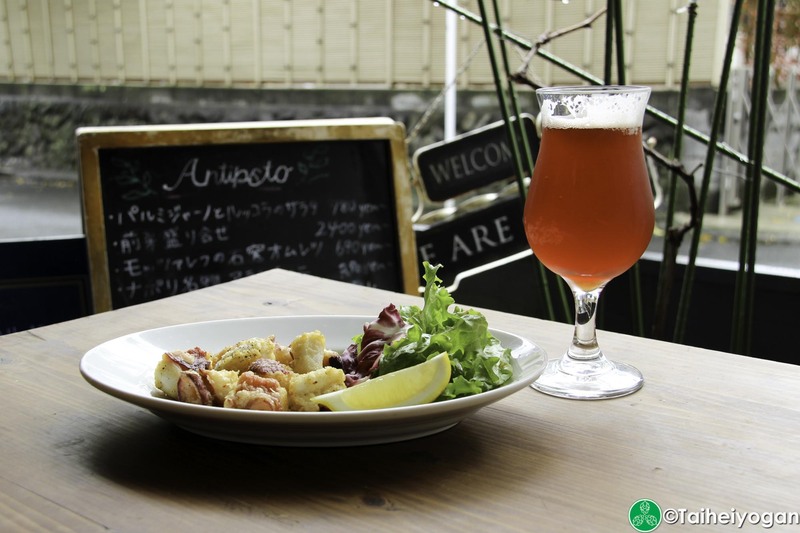 This entry was posted in Articles, Kanto and tagged Food Pairing, Grano. Bookmark the permalink.